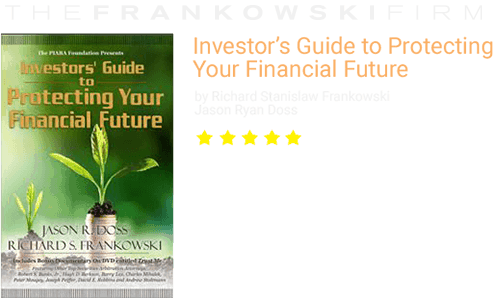 Investors place their money and their trust in the hands of their brokers and brokerage firms. In turn, these firms and investment professionals owe their clients a high standard of care when it comes to recommending investments that will help their clients achieve their stated objectives. Unfortunately, as in any other industry, there are those who act in their own best interests, and those who fail to protect their clients through their own negligence. At The Frankowski Firm, our securities negligence lawyers hold brokers accountable when investors suffer losses due to their brokers’ negligent or fraudulent actions. We are available for consultation with New York City victims of negligence, and fight to obtain the best possible award for our clients who have been wronged by unscrupulous securities professionals. Brokers have a responsibility to operate in good faith when it comes to serving their customers. Investors who experience significant losses or consistently minimal gains because of broker negligence or fraud have legal recourse to make a claim for damages. Being in a position of trust requires that they maintain a high level of integrity, and place the interests of their customers ahead of their own. The Frankowski Firm routinely represents clients who have been harmed by their brokers, advisors and investment firms. When brokers and brokerage firms fail to uphold the trust that clients place in them, or when they breach their duty of care to their customers and it results in losses for them, individual and institutional investors have a remedy. 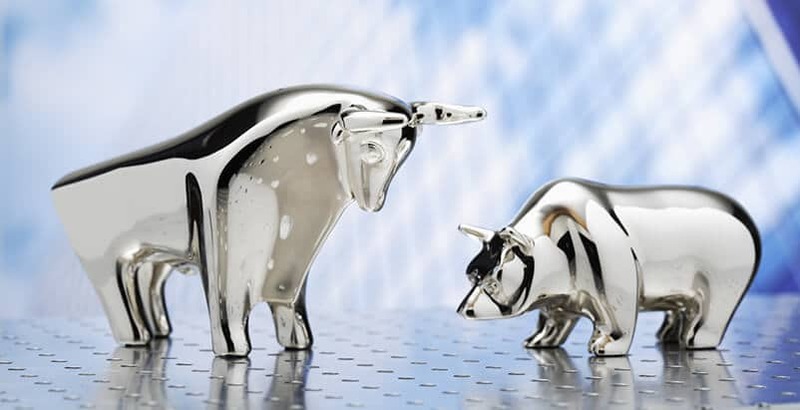 The Financial Industry Regulatory Authority (FINRA), which is the regulating body for the investment industry, provides a venue for aggrieved investors to seek redress through arbitration. Investors who have a dispute with a stock broker or brokerage firm can file a complaint with FINRA about the questionable activities of their broker. Arbitration is a form of alternative dispute resolution designed to limit the time and expenses of both parties. The process may involve one arbitrator or a panel of three, to whom both parties present their discovery documents, evidence and arguments. What many investors do not realize, however, is that arbitration clauses are binding: once an arbitrator or a panel makes its decision, it is final, and there are limited opportunities to appeal the decision. Moreover, arbitration is usually required; if an investor’s contract mandates arbitration, then there may be no way to pursue damages in a courtroom. If you must go through FINRA arbitration, it is important that you work with an experienced attorney. 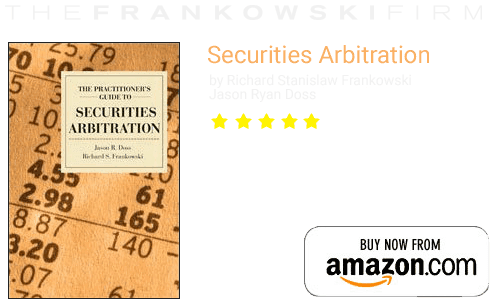 Richard Frankowski has authored a book on the FINRA securities arbitration process, and has successfully represented hundreds of investors in front of arbitration panels. Pursuing civil securities claims in New York City is complicated work that requires knowledge of the industry and its practices. We have the legal acumen and the tenacity to fight for your interests to the end. At The Frankowski Firm, our securities and investment fraud lawyers understand the nuances of financial investing, and we know that when New York City brokers and investment firms fail to understand the customer and fail to recommend suitable investments, our attorneys have the knowledge and legal acumen to demand payment from negligent brokers and brokerage firms. We have helped other investors obtain financial justice. We are available by appointment in the New York City area. Please call our lawyers today at 888-741-7503 or complete our contact form.